If you are in need of a low profile cooler, make sure you check out this review of the Raijintek PALLAS at Technoyard this afternoon. 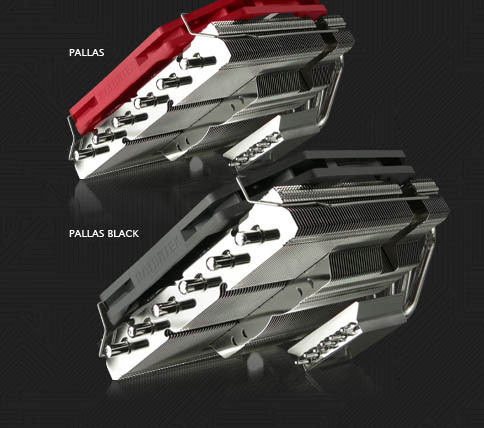 Raijintek pitch the PALLAS as a high end low profile CPU cooler. It’s aimed mainly at the HTPC and small form factor market segment. It’s a free world however, so you’re welcome to use it even on standard desktops. The Raijintek PALLAS stands at 68mm tall with a 153 x 150 (W x D) footprint, making it ideal for its intended market. The 14013 PWM fan included with the PALLAS has allowed Raijintek to maintain this low profile standard which surprisingly can dish out 56.55CFM. Initial stats for the cooler looks promising, so lets go check out the Raijintek PALLAS in more detail.